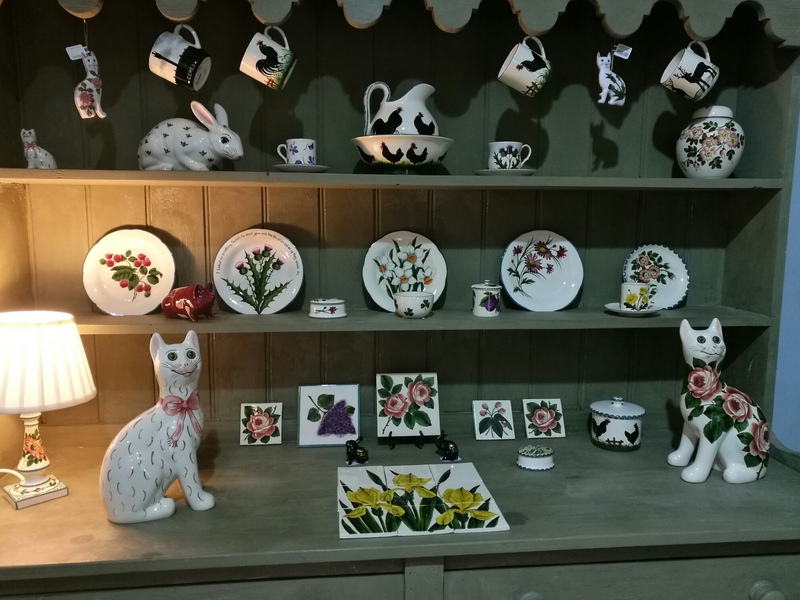 We visited Griselda Hill at her pottery in Ceres, to find out more about the fascinating Wemyss Ware story and see first hand how they produce this highly sought after collection. …and that’s how Griselda Hill started her pottery business in Ceres. 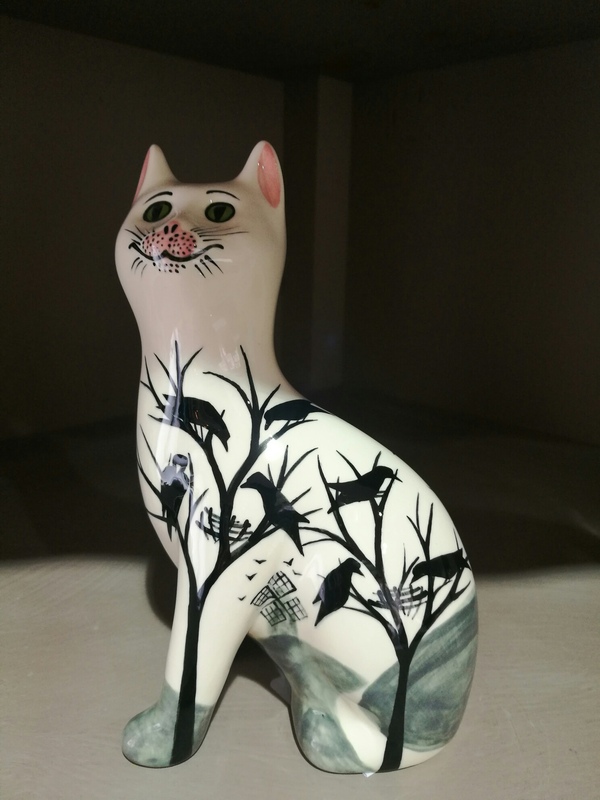 Wemyss Ware is probably the most highly collectable and sought-after pottery in Scotland, and the range includes beautifully hand painted pottery cats, pigs, other animals, giftware, decorative tableware, tiles as well as limited editions. 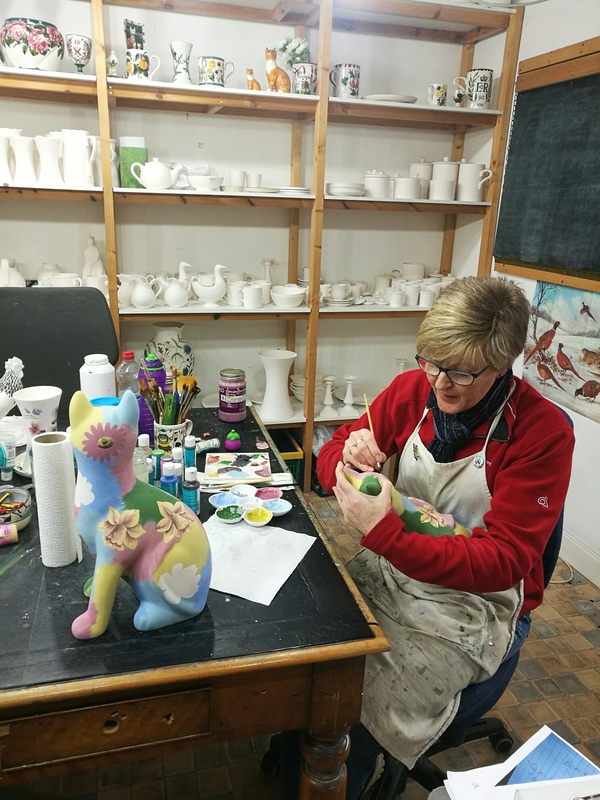 Since 1985 it has been produced by Griselda Hill at her Pottery in the delightful village of Ceres; a four-star visitor attraction with shop and visitor centre, where you can see first-hand her talented team at work. It’s fascinating to watch them at work and the end result is stunning. Royal Doulton bought the rights to the trademark when the Bovey Pottery shut in 1957, but because they hadn’t produced anything it had lapsed. 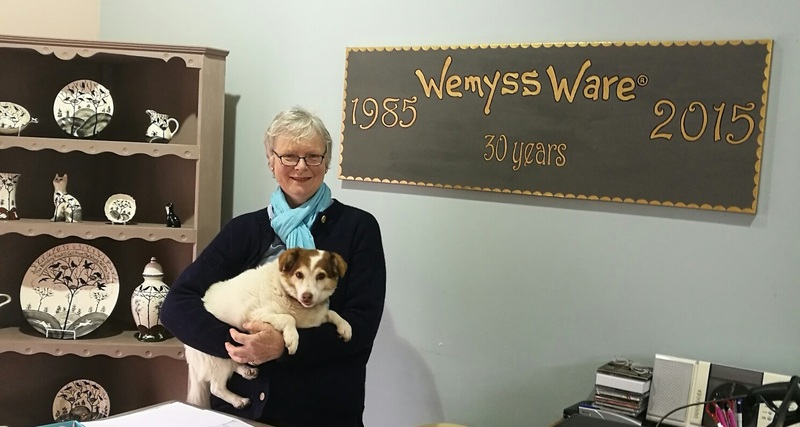 Griselda was then able to start producing and acquired the Wemyss Ware trademark in 1985. 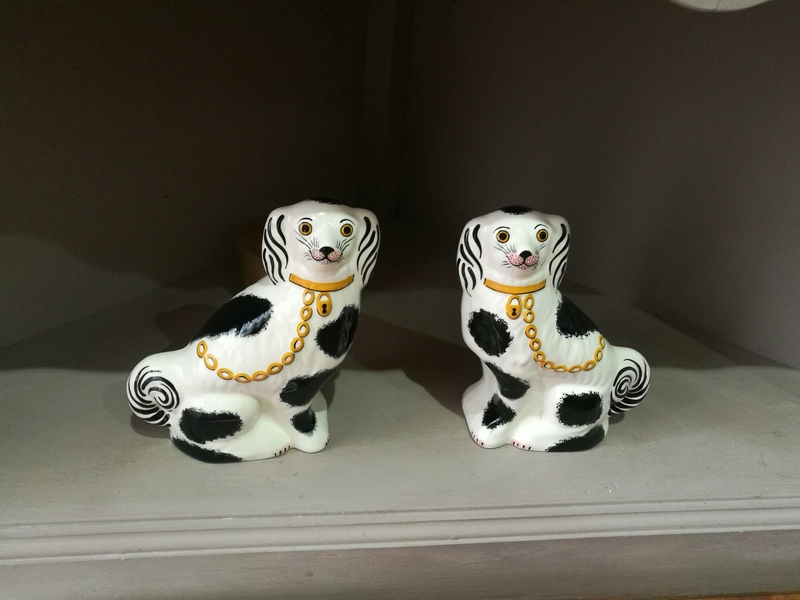 Since 1985 the Pottery has had many famous visitors, and has featured on the BBC Antiques Show with Tim Wonnacott, Flog It with Paul Martin and the Antiques Road Trip with David Barby. Each piece is hand painted and unique. It takes around 2 hours to make and 1 day to paint one of the smaller pieces in the Wemyss Ware collection. The painting technique is a secret, which has been passed down through generations from the original designer, Karel Nekola. There are around 40 different pieces to choose from in the range and 40 different designs. One of the most popular designs is the ‘Dragonfly’. Griselda has a small team including two painters and a potter. Best sellers are the cats, in particular the ‘Galley’ cat, followed by pigs. Kirkcaldy Galleries logo is the Wemyss Ware Galley cat. The Queen recently commissioned two large Cabbage Rose vases for Balmoral Castle, to match an existing vase. Griselda regularly commissions pieces for charity including Marie Curie and Coronary Care for the Young. Wemyss Ware has a long and distinguished history. Over the years it has been collected by many famous people, including Gore Vidal and Elton John. Queen Elizabeth the Queen Mother was preeminent among its famous collectors, and the Prince of Wales continues to admire and collect the pottery. There are 4 cabbage rose Wemyss Ware vases in Balmoral. Wemyss (pronounced Weems) Ware was first produced in Kirkcaldy in 1882 by Fife Pottery. It was the brainchild of Robert Heron, the pottery owner, who brought a gifted decorator Karel Nekola, across from Bohemia to work with him. The name Wemyss was in honour of the Wemyss family of the nearby Wemyss castle, who were early and enthusiastic patrons of the pottery. The most outstanding feature of the ware is the free-flowing and naturalistic hand painting. 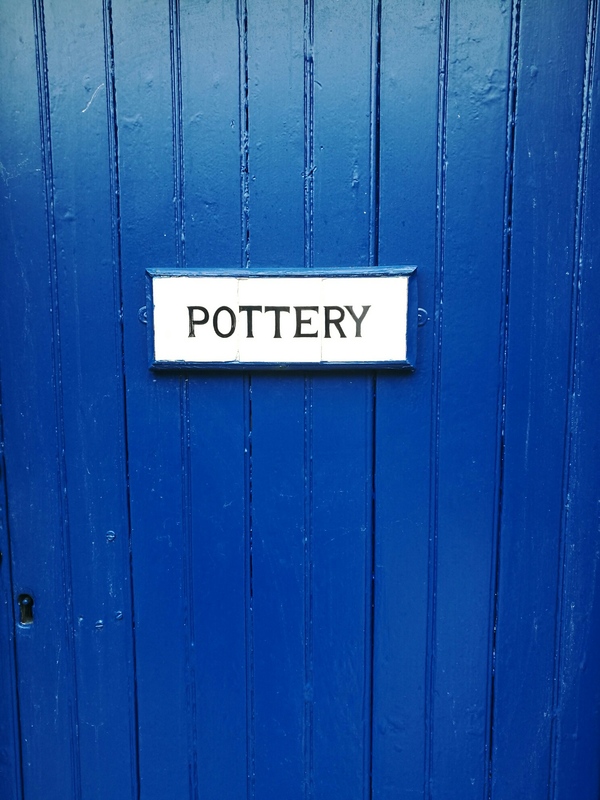 The pottery was an immediate success and found its way into such diverse places as local cottages and stately homes all over Scotland and beyond. Following its popularity for four decades, Wemyss Ware became less fashionable in the 20th Century and in 1932 the Kirkcaldy Pottery closed. Joseph Nekola, Karel's son, moved down to the Bovey Pottery in Devon where he carried on producing Wemyss Ware on a small scale and passed on his secret painting techniques to apprentice Esther Weeks. After his death in 1952 Esther became Head Decorator until the Bovey Pottery closed in 1957. No Wemyss Ware was produced throughout the 1970's or early 80's, until Griselda Hill started producing again in 1985.